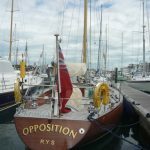 As well as the title sponsor, Charles Stanley, the recent Cowes Classics regatta saw a number of sub-sponsors which Charles Stanley as well as those taking part really appreciate these include Kendall’s Fine Art , Cowes and Haines Boatyard. Following Monday’s weather being too rough for many boats to take to the water Tuesday saw some excellent racing. Every type of weather presented itself through the day from sunshine to severe rain, and windless holes to the 35 knot gusts witnessed in the Daring fleet. Tuesday was the first of four days of racing for the Tempest class which were using Cowes Classics as their 2016 World Championship. Competitors came from Switzerland, Germany, France and Austria as well as Ullswater in the UK. Sharing a start on Tuesday were the majestic 6 metre and 8 metre classes, a truly classic representation of yachts built between 1926 and 1947. 14 Darings, the majority of which were built in the 1960s and 70s were also racing. Daring number 4, Roger Marwood’s 1961-built Audax defied the rest of the fleet with a port end start giving them an edge up the first beat but it was Cowes resident John Corby in Doublet who went on to win the two races of the day. Amongst other boats racing were four Vintage Dragons, entered as a class for the first time in the event, Flying Fifteens, the National Swallows, Bembridge One Designs and the Squib class made a special one day only appearance. Easily spotted by their brown sails and small spinnakers, the day belonged to Andrew Porteous and his Firecracker Too with two firsts. 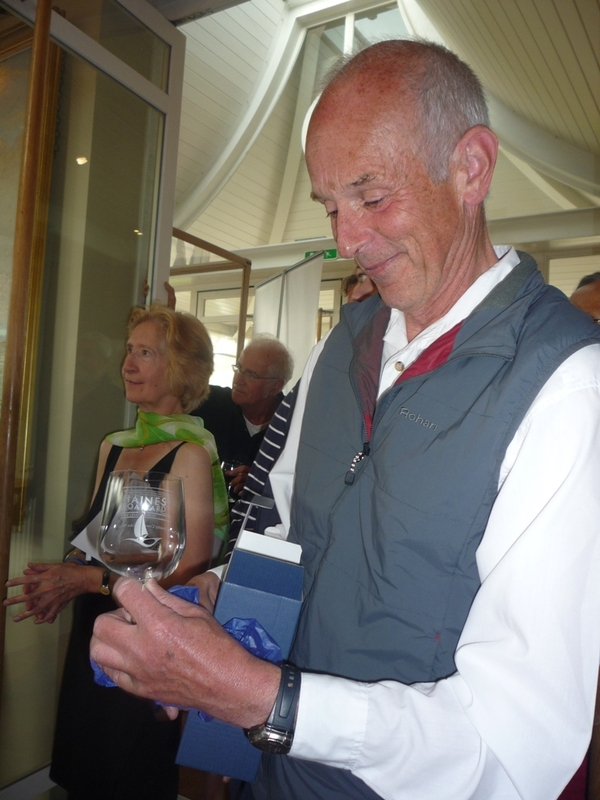 One of the sub-sponsors Haines had Wednesday as their day with race prizes donated by Haines and a reception held at the Royal Yacht Squadron. Haines Boatyard, near Chichester was founded in 1912. It has seen a number of changes over time and when it went out of family ownership a rescue package saw it continue and thrive. Current owner Chris Hodge said they serviced a number of yacht classes which were racing in Charles Stanley Classics Week so it made sense to sponsor a day’s racing. His company are very keen to employ apprentices and most stay loyal to the firm. One ex-apprentice has been at Haines for over 20 years. 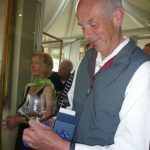 Chris took great pleasure in presenting the prizes at the reception. 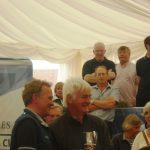 All classes were racing for Haines Boatyard Glasses including the classic cruisers and gaffers which raced separately to the one-designs from the fixed line of the organising Royal London Yacht Club. David Pennison, owner of the Old Gaffer ‘Sepia’ was delighted with his class win. Modestly, he admitted his victory was due to a shortening of a course due to a drop in wind strength. He was thrilled to receive one of the Haines Day trophies. Also on an Old Gaffer was Island resident Andrew Hitt. Andrew had competed in last year’s Cowes Classics in ‘Helme.’ Then, he told us he was keen to sell her. Out of the blue he had a phone call from a potential buyer- if he could sail ‘Helme’ down to Plymouth. Almost immediately the owner of ‘Spinaway’ made contact with Andrew and accordingly Andrew was, this year, competing in ‘Spinaway’ with his wife and two more crew. Meanwhile all the two-crew Tempests were racing on the second day of their 2016 World Championships and Wednesday also saw The Solent Sunbeams making their annual pilgrimage from Itchenor Sailing Club where the one-design fleet, designed in 1923, races very competitively in largely restored and optimised boats. Boasting International status the Tempest is a two man keelboat with trapeze and spinnaker. Designed by Ian Proctor the Tempest is self-righting and the cockpit is self draining. 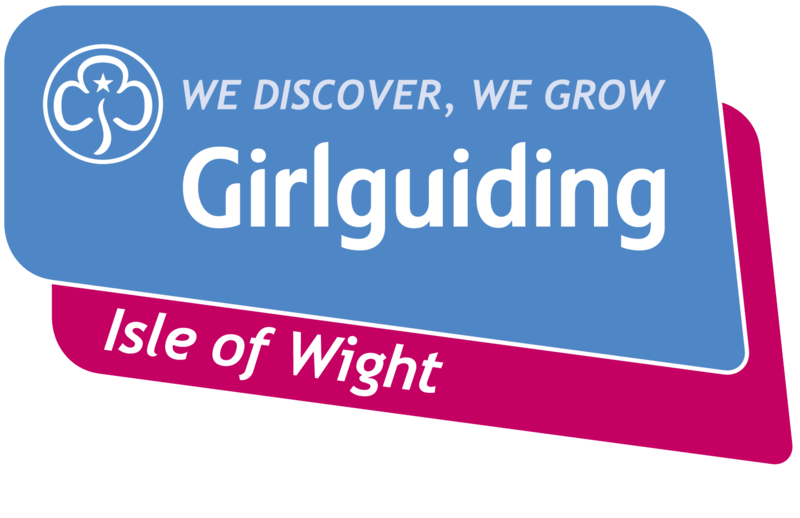 This class holds a World Championship annually and competitors were very pleased to be in Cowes. In the Flying Fifteens, despite being the smaller boats in their fleet, they consistently use their flighty speed to get ahead in the light airs. This was illustrated by Bobby Salmond’s ‘Vaquero.’ On board with Bobby was renowned Island artist Chris Gillies and the boat pulled quickly away from the start to take a good lead but was overhauled by Richard Drabble’s ‘Fram Frey’ at the first windward mark. ‘Fram Frey’ went on to be the first Flying Fifteen in both her races on Thursday while ‘Vaquero’ still led overall in the series. 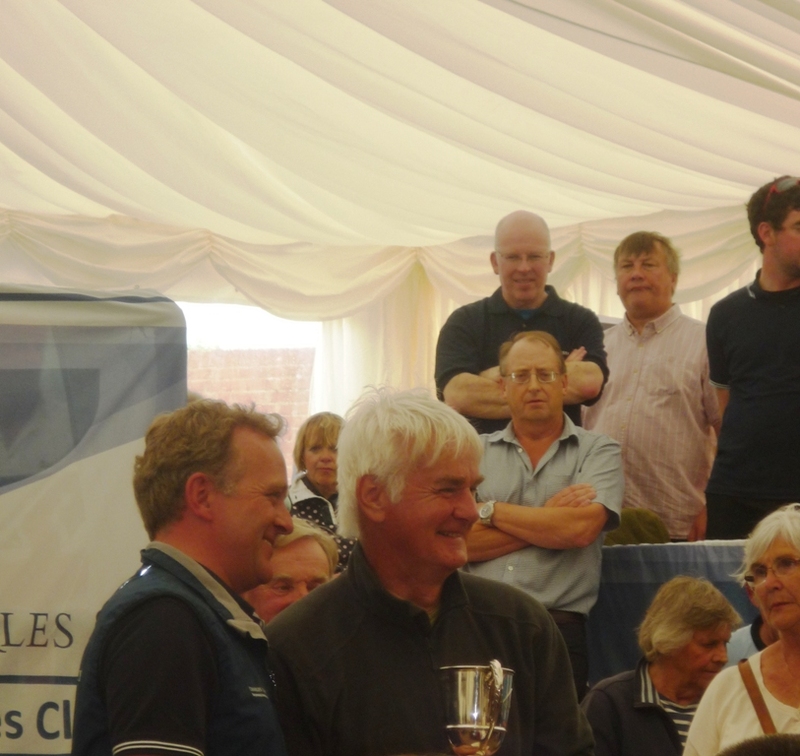 After plenty of action on Friday the prizegiving ceremony took place at Royal London YC. Just prior to the prizegiving a minute’s silence was observed following the terrorist atrocity in Nice. 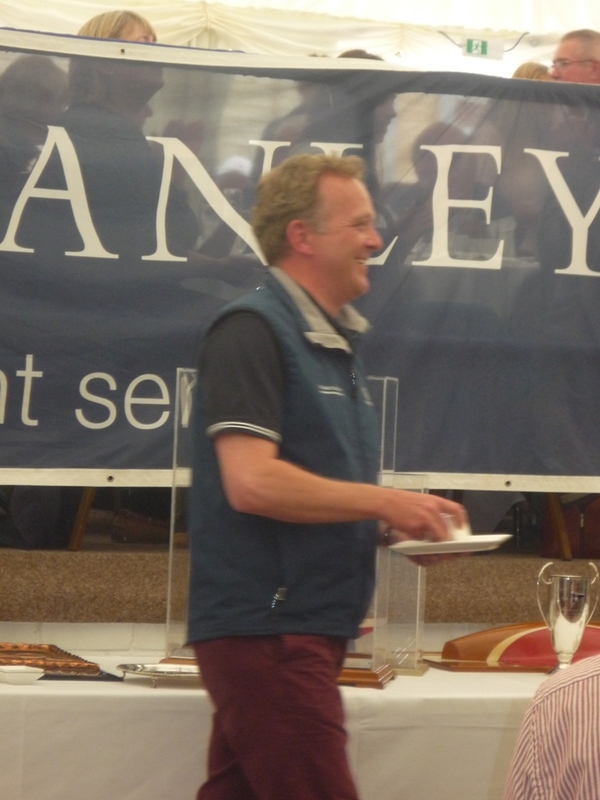 Marcus Wheatley, a competitor in the Daring class (he was third in Destroyer) who was representing the title sponsors Charles Stanley presented the prizes and hinted that Charles Stanley might be considering sponsoring for a fourth and possibly a fifth year. 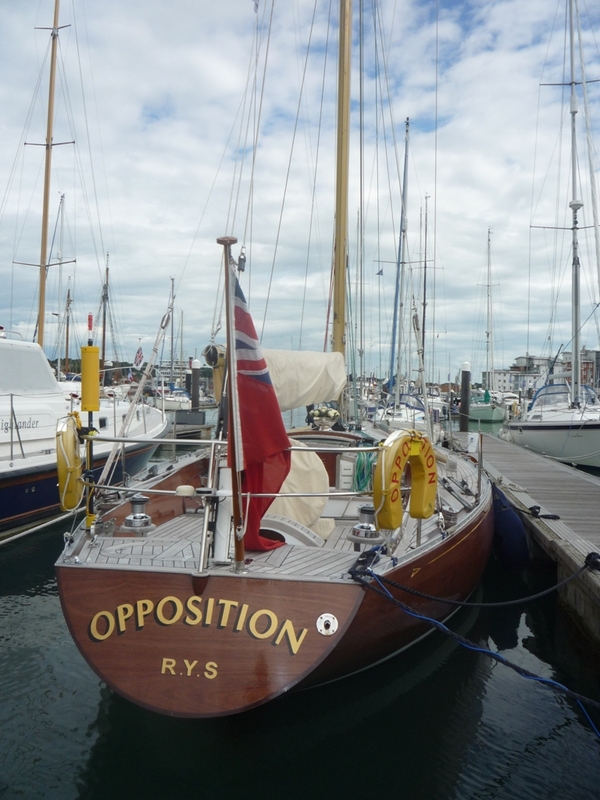 Richard Loftus’ ‘Desperado of Cowes’ took honours in the Classic Boats Red One category and Swans Red One division. Cowes yacht designer John Corby celebrated a win in the Daring Class, a development of the 5.5 metre which was a former Olympic Class. “This is the biggest Daring win for me to date,” said John who has restored a number of original Darings to mint condition including his own 1971 build boat ‘Doublet’. James Meaning and his crew Bob Brinsdon and Sean Curran on ‘Gleam’ triumphed in the 50 strong XOD class, the largest class at the event securing the Haines Boatyard Trophy. 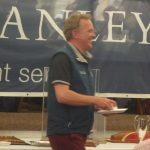 Top boat overall in the regatta and the winner overall of the Charles Stanley1792 Cowes Classics Trophy was Roger Wickens’ ‘Danny’. 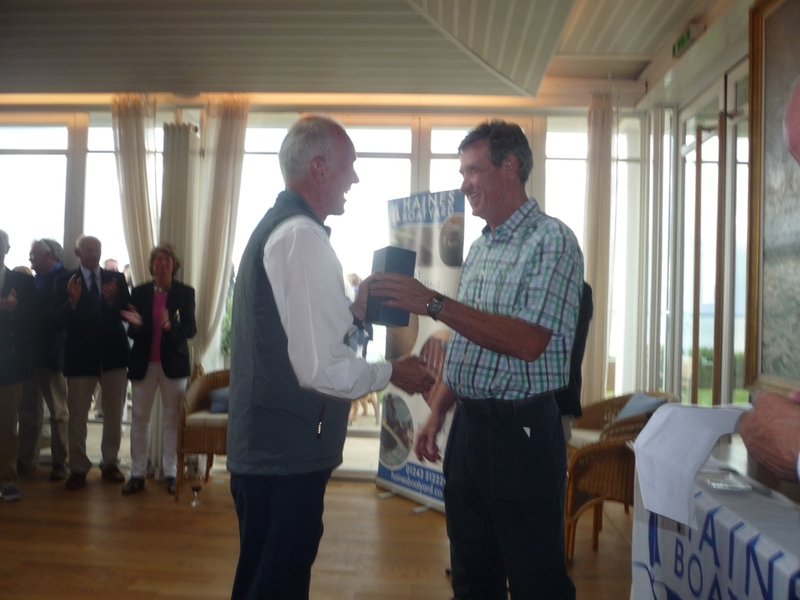 Roger improved on his second place of last year by gaining an overall win in the closely fought series and his performance also gave him the regatta win calculated using the weighted formula based on the number of boats in the class. 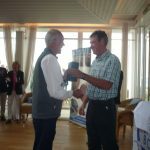 Lively breezes provided perfect action conditions on the Solent Race Course for Frank Weigelt, sailing ‘Holzwurm’ to claim the title in the International Tempest World Championship which was contested by 24 boats. This is the fifth time that Frank and his long-standing crew Christian Rusitschka have won the Tempest Worlds. After this year’s Cowes Classic Week Chairman Peter Taylor is stepping down to be replaced by Richard Ottaway. A presentation was made to Peter and it was announced that next year’s regatta will be contested between 17th & 21st July 2017. 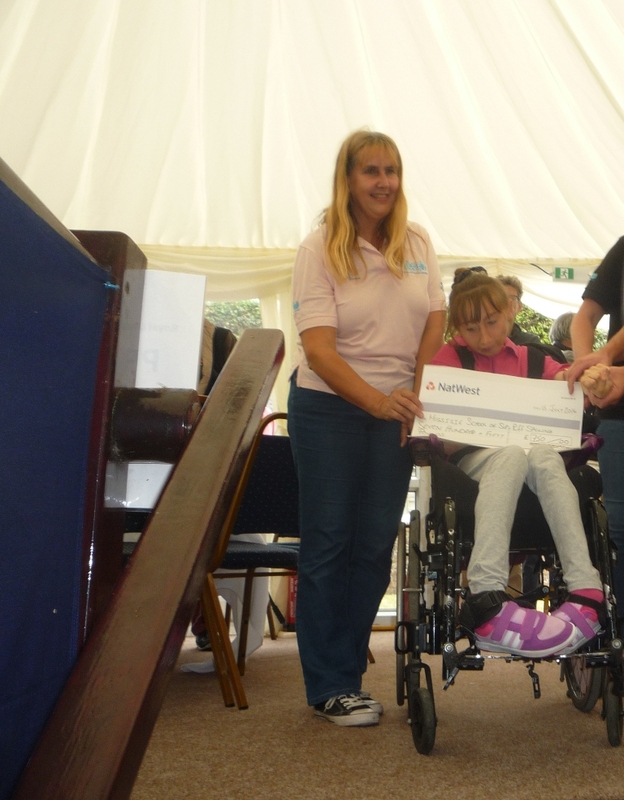 During this year’s event £750+ was raised for the chosen charity-Miss Isle School of Sip & Puff Sailing founded by Natasha Lambert BEM of Cowes. Chairman Jeremy Dale said,” The charity’s aim was putting people on the water.” His company Sea Safe sponsors Natasha and has provided special clothing and a liferaft. A lifting crane to get disabled sailors aboard would cost some £5K so the sum raised would go towards it. 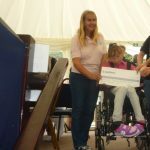 Natasha attended the prizegiving and next day was setting off for Scotland for another sailing venture from Inverness to Glasgow including a mountain climb near Fort William. For anyone on the Isle of Wight wanting more information or to make an investment Charles Stanley have an office in Newport.